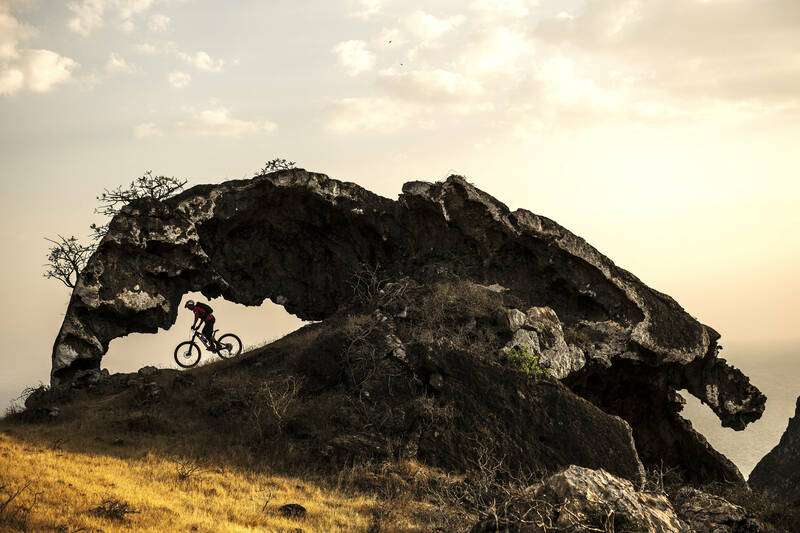 Mountain bike enduro star follows local wildlife in stunning Salalah ride. 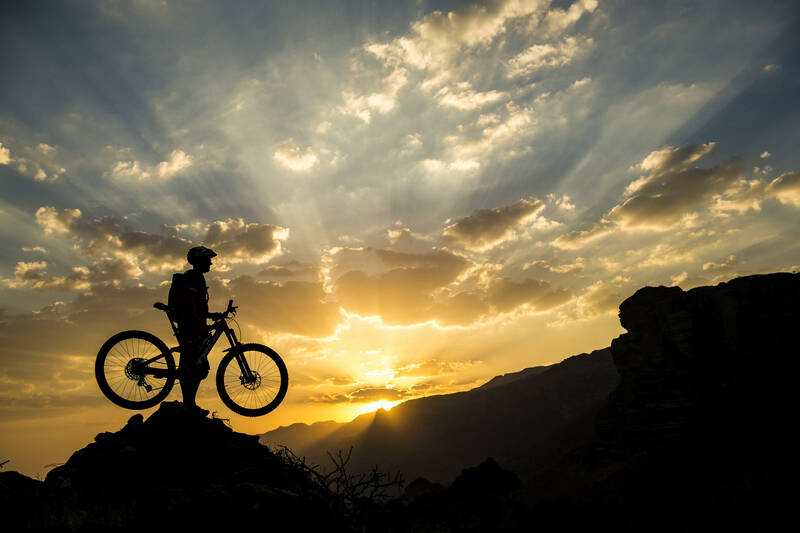 René Wildhaber has ridden himself into the mountain bike history books thanks to his competition wins and Kranked movie sequences with the enduro legend travelling to Oman for his latest project. – When the monsoon season visits the city of Salalah for a few months, camels wander around to create winding paths on a green patch in an otherwise dry landscape. – After the rains disappear, the camel paths turn to dust leaving great bike trails. – Paths were not always accessible by car so Wildhaber often had to hike during the week-long adventure where he rode 7km for nearly 10 hours every day in 26°C heat. – His diet combination for the arduous daily MTB trek consisted of carbohydrate rich bread, potatoes, beans and protein. – Wildhaber has won repeatedly around the world during his career including several Alpe d’Huez Mega Avalanche titles and two Trek Bike Attack Lenzerheide victories. – When he’s not winning global contests, he’s back in his native Switzerland at his carpenter’s bench, milking cows in his parents’ shed or working as a ski instructor. This entry was posted in Adventure, Bike, Featured, Global News, Lifestyle, MTB, Video by admin. Bookmark the permalink.